Nelson Ireson February 28, 2011 Comment Now! The Volkswagen Microbus has been a cult classic since its debut 60 years ago, despite aging sheetmetal and what is, by today's standards, marginal safety and performance. 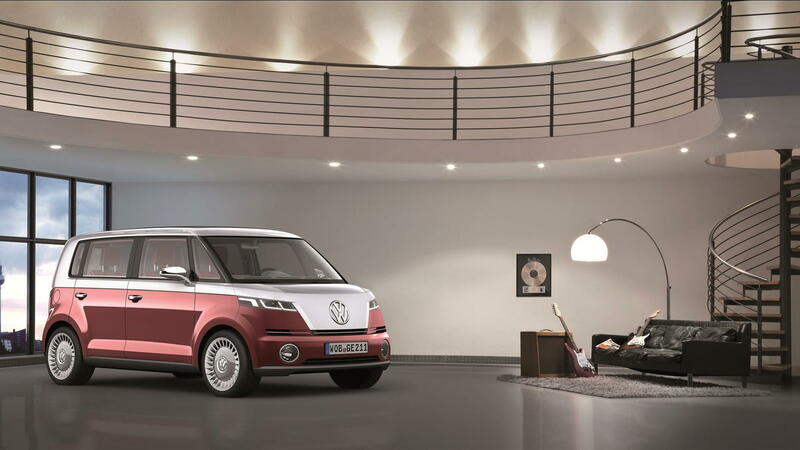 VW hopes to change that with the new Bulli, a concept electric van being shown this week in Geneva. 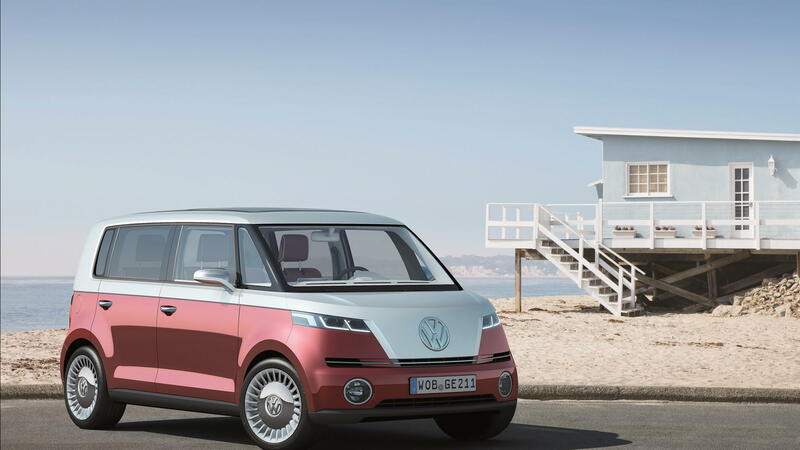 The Bulli is, according to VW, the realization of the Microbus concept from 2001, brought into the new century with electric drive and even more modern looks. 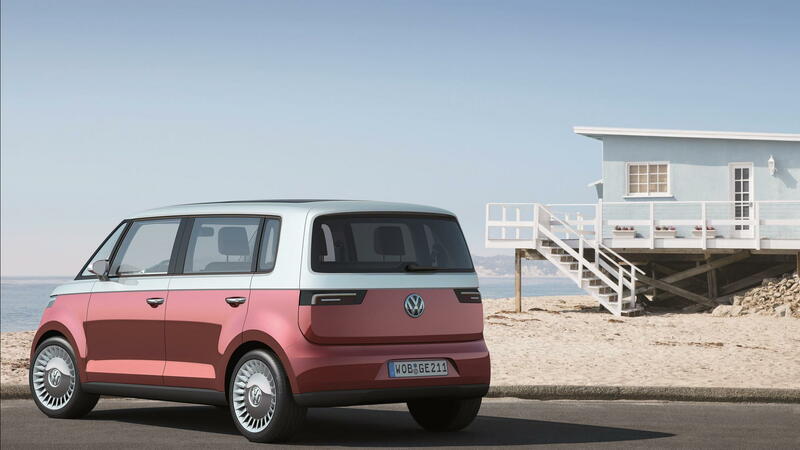 The official talk around the Bulli is decidedly production oriented: VW says "this concept has the potential to establish a new, fifth brand of people carrier next to the Caddy, Touran, Sharan, and its large counterpart the Caravelle." If you don't recognize most of those model names, fret not: they're European. Unfortunately, that might hint that VW is not eying U.S. sales at the outset for the Bulli, either. On the other hand, given its cult status here in the U.S., and our affinity for multi-seat people movers, the Bulli could make the crossover where VW's others largely haven't. 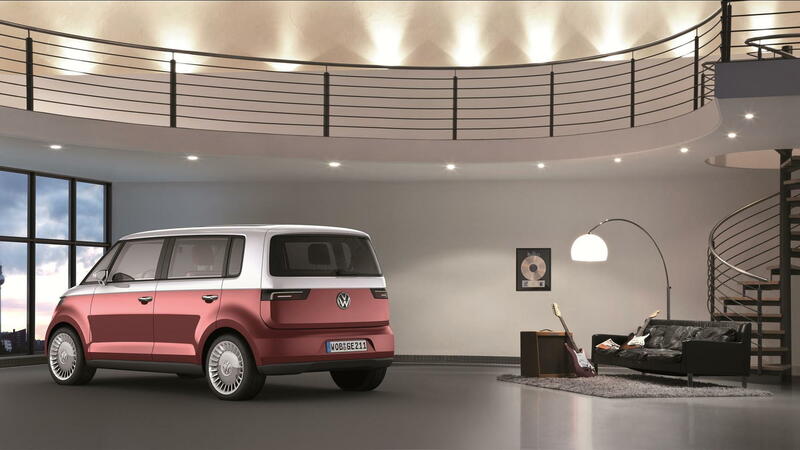 As for the Bulli's performance, it's a concept vehicle, so VW is free to make grandiose claims without the ability to produce on them. That said, the Bulli is said to be capable of 185 miles on a single charge of its lithium-ion pack, with a 114-horsepower electric motor rated at 200 pound-feet of torque. Acceleration isn't exactly startling, but it's better than the old bus, clocking 62 mph in 11.5 seconds. Top speed is limited to 87 mph. Charging takes just an hour. The Bulli, despite its vannish proportions, is small: just under 6 feet wide and tall, and a scant 8.5 feet in wheelbase. Inside, it features some unique ideas, including a split-folding front bench seat, another bench behind, and the ability to stow the rear seat for more cargo capacity. There's even a camper function by reclining the seats to make a sleeping platform. We're looking forward to the live photos of the new Bulli, which we'll be bringing you fresh from the Geneva floor tomorrow. 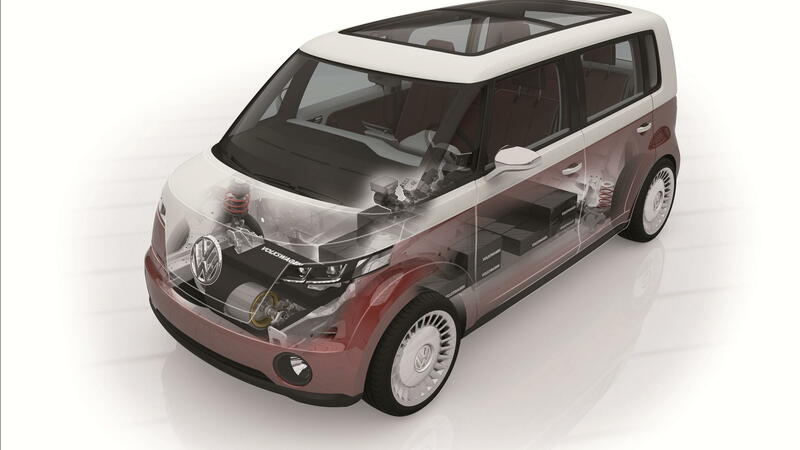 Volkswagen Close To Confirming New Bus?